Departing from your Hotel anywhere in Tokyo, please be ready for a very exciting sightseeing tour you don't wanna miss! You may follow our prepared Itinerary or follow your own customized itinerary. Enjoy a hassle-free pick-up from your hotel and start exploring Tokyo by your own pace, spending your time with the most famous and photographed landmarks such as Meiji Shrine, Imperial Palace, Asakusa Temple, Skytree Tower, Akihabara, Ueno, Shibuya Crossing & Hachiko Statue and Tsukiji Market. Enjoy a complimentary Hotel Pick-Up from your accommodation, before departure, you will take part in a short safety briefing. You will be picked up from your hotel and be taken to the various destinations of your choice. This Private Tour is perfect for large groups, especially for families who wants to enjoy the beauty of Tokyo exclusively. 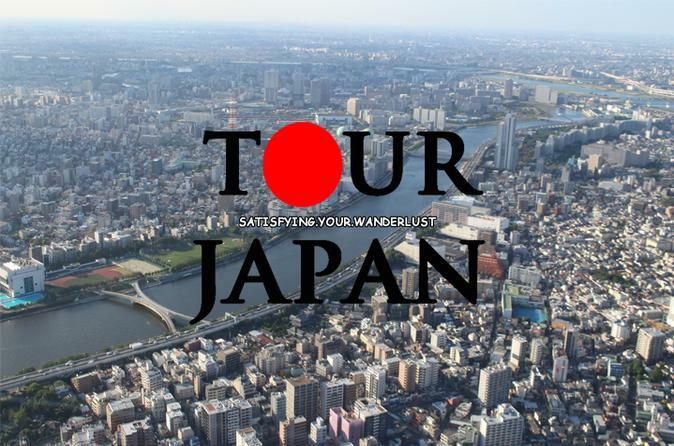 This 1 Day Tokyo Tour can be customized, bringing you and your group to some of Tokyo's best destinations. ※ Note: The above is just a sample itinerary. Please let us know if you prepared your own itinerary and we will be happy to follow it for you. If you don't have any idea where to go and what to experience, please let us know and we will be happy to suggest the best spots based on your interests.